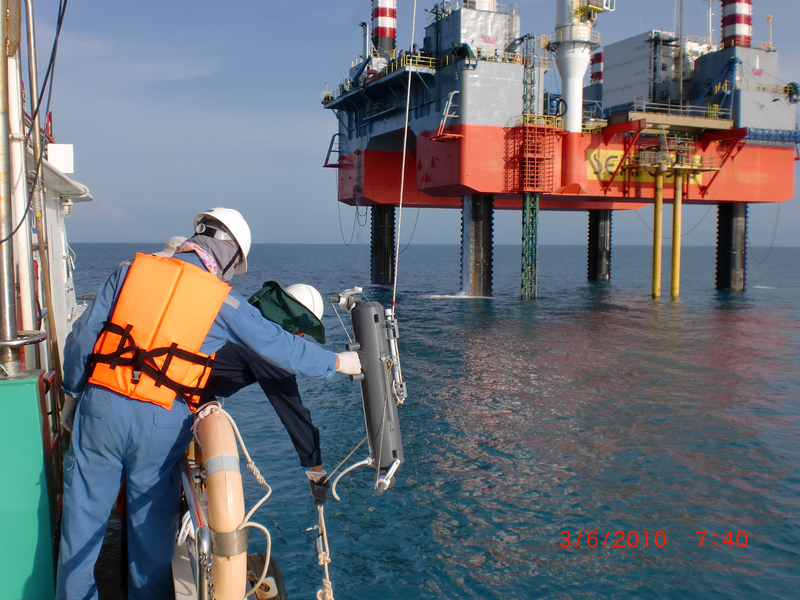 Environmental Monitoring for Songkhla A and Bua Ban Offshore Oil Production Fields — NuCoastal (Thailand), Ltd.
NuCoastal Thailand is an independent petroleum exploration and production company with two producing fields in Concession Block G4/53 in the Gulf of Thailand. The fields, offshore Songkhla Province are producing 11,000 barrels of oil equivalent a day. Thai environmental regulations require specific environmental monitoring to be conducted every year around the exploration drilling sites and production platforms in the Songkhla and Bua Ban Production Areas. NuCoastal selected Tetra Tech to conduct this monitoring on the basis of cost and past performance of a rapid turn-around on the analyses and fingerprinting of tar balls washed onto coastal beaches adjacent to the production fields. This 3-year environmental monitoring program includes annual monitoring of seawater quality, sediment quality, benthic communities, plankton, fish larvae, heavy metal in fish tissue, drill cuttings quality, and natural gas quality. Tetra Tech leads a team of 4 analytical laboratories based in Thailand and in the US for this work. Tetra Tech is responsible for the design of the environmental sampling plan, managing the offshore sample collection efforts, analyzing the results from the four analytical labs, and preparing a final report to be submitted to the government regulators.